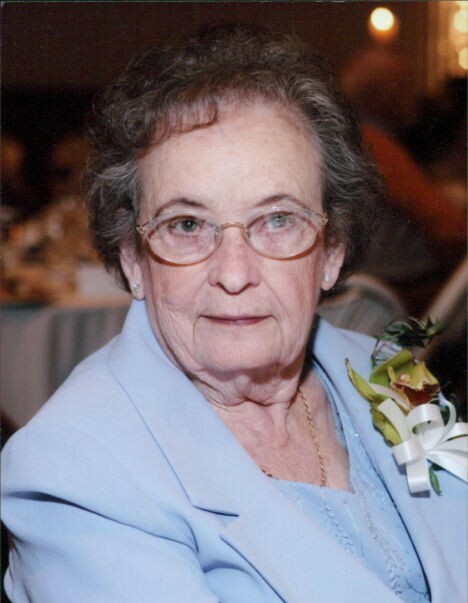 BOGLE, Martha Lucille - age 94 of Lebanon passed away on Thursday, September 13, 2018 at Lebanon Health & Rehab. She was born in Statesville, TN to the late Toy and Ruby Jennings. She is also preceded in death by husband of nearly 67 years, Joe Donnell Bogle; brothers, James, Doug, and Ed Jennings; sister, Carrie Brown Penuel; grandchild, Wendy Bogle Gilley; and great-grandchild, Campbell Crockett Rozell. She is survived by sons, Billy Joe (Judy) Bogle of Jacksonville, FL and Robert Lynn (Treva) Bogle of Lebanon; sister, Joyce (Joe) Caldwell of Lebanon; grandchildren, Scott (Kim) Bogle, Brooke (Brady) Palmer, and Clay (Brett) Rozell; great-grandchildren, Clay Alden, Adyson, Watson, and Linden Palmer, Barrett, Canaan, and Marshall Rozell, Tiffany, Brian, and Wendy Bogle, and Nathan Gilley; 3 great-great grandchildren; and many loving nieces and nephews. Mrs. Bogle was a member of Immanuel Baptist Church where she was a regular worker in the nursery. She was also an Inspector for Robertshaw Lux Clock for more than 32 years. Visitation will be held on Sunday, September 16, 2018 from 1 p.m.-3 p.m. in the Partlow Funeral Chapel with funeral services following at 3 p.m. Bro. Todd Elliott will officiate and interment will follow in the Wilson County Memorial Gardens. Pallbearers will be Clay Alden, Watson, Linden, and Brady Palmer, Scott Bogle, Brett, Barrett, Cannaan, and Marshall Rozell.